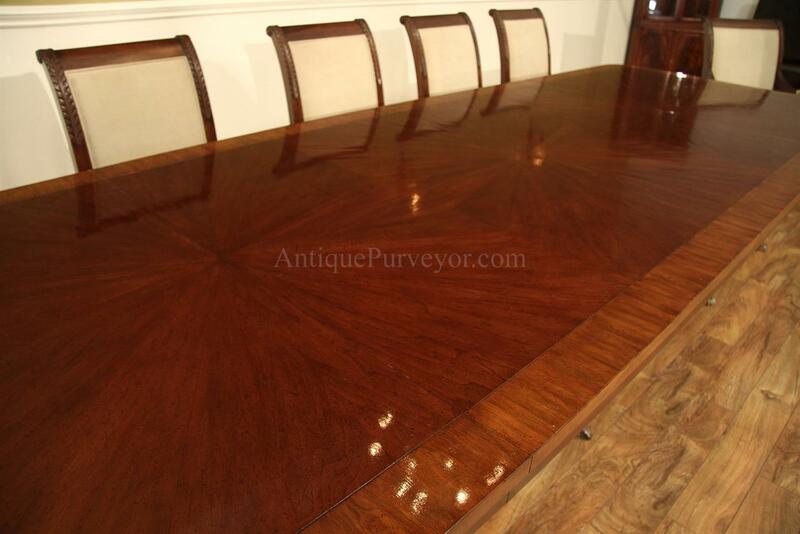 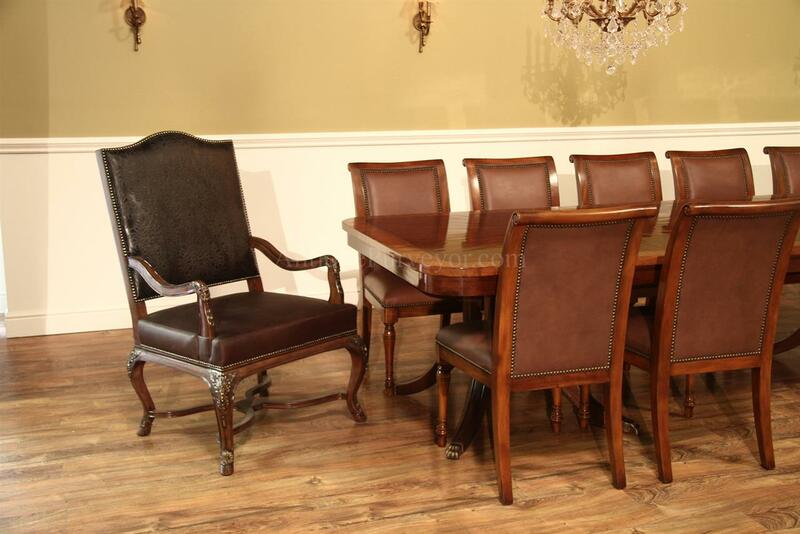 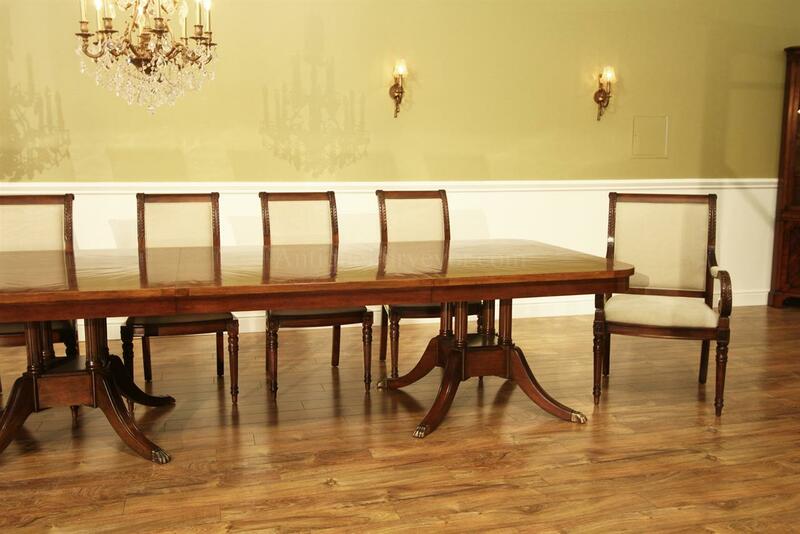 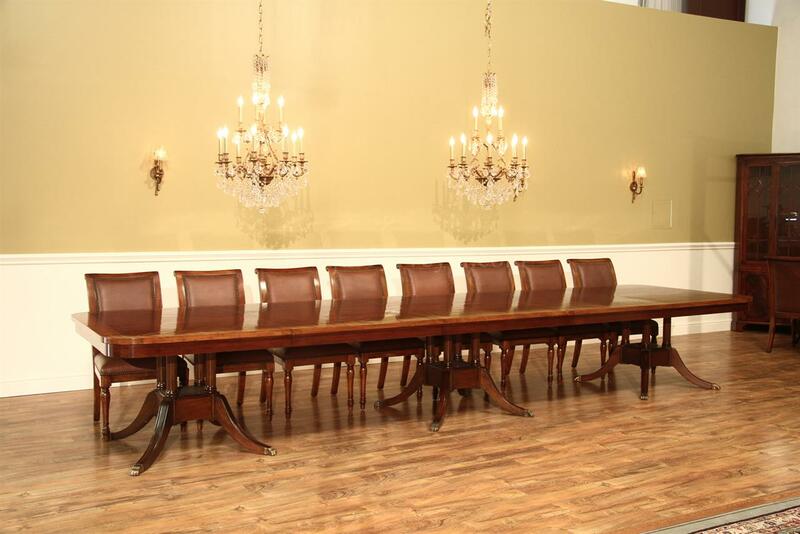 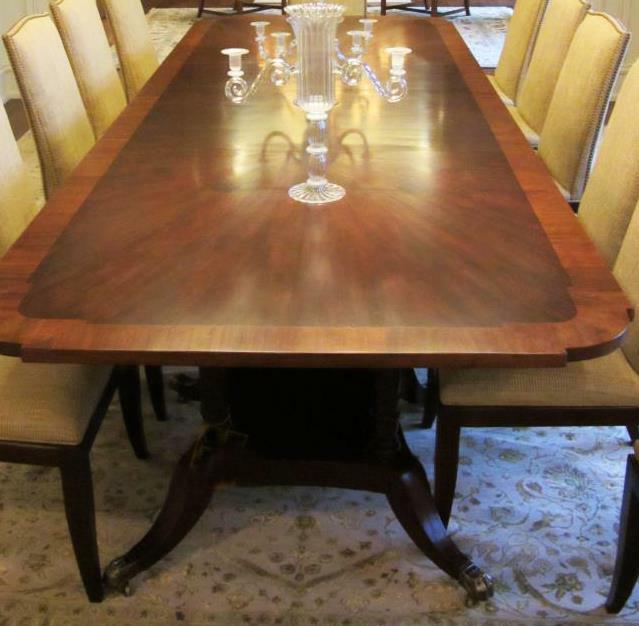 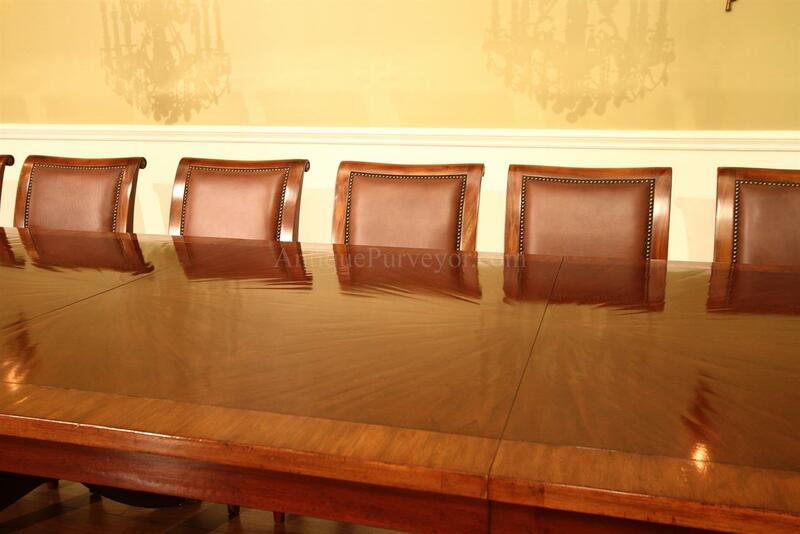 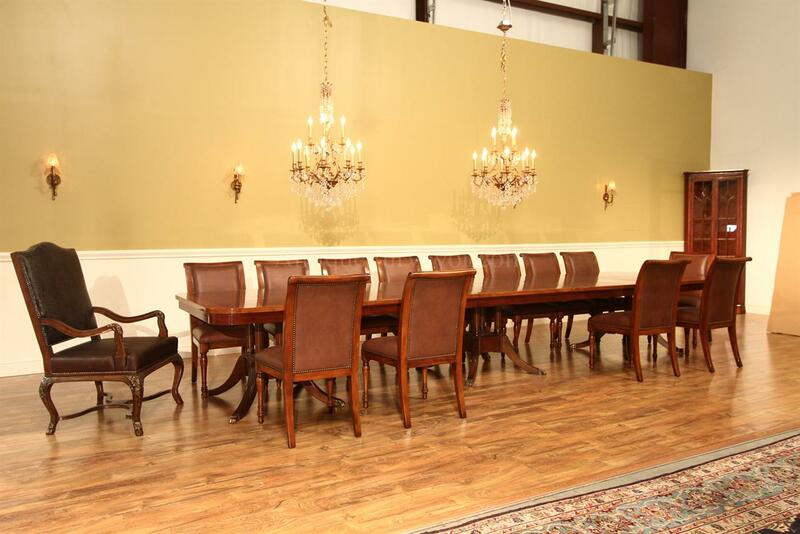 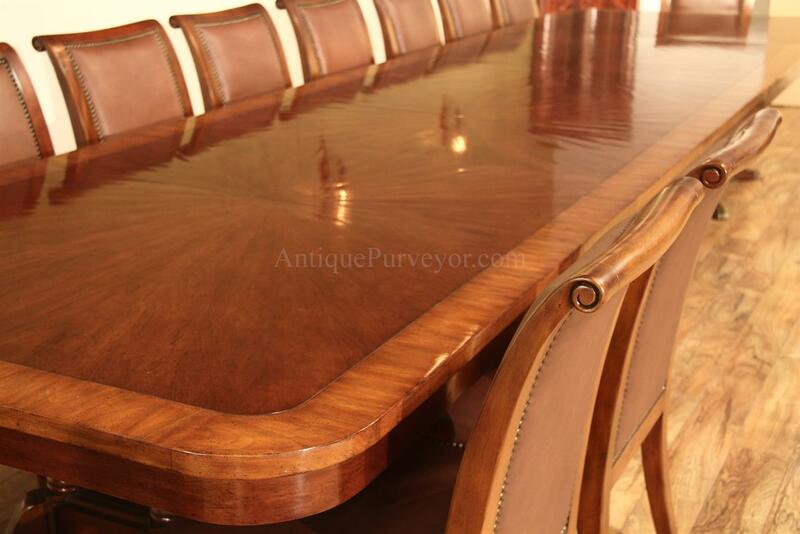 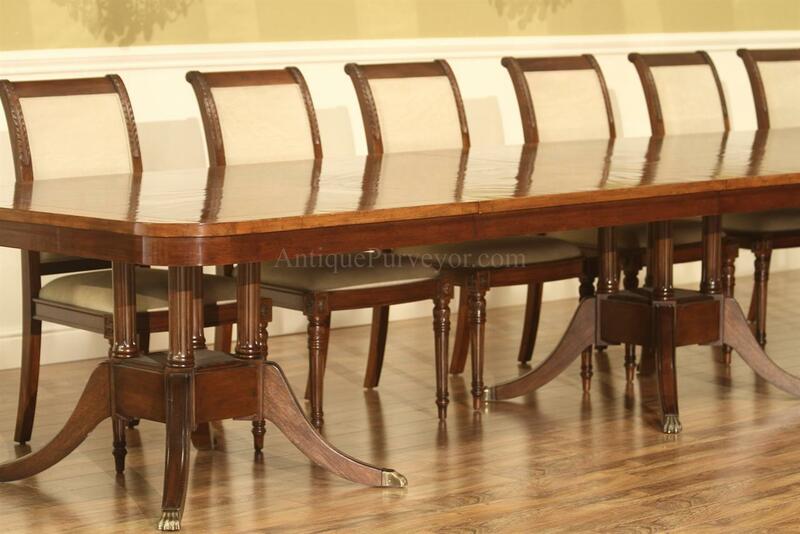 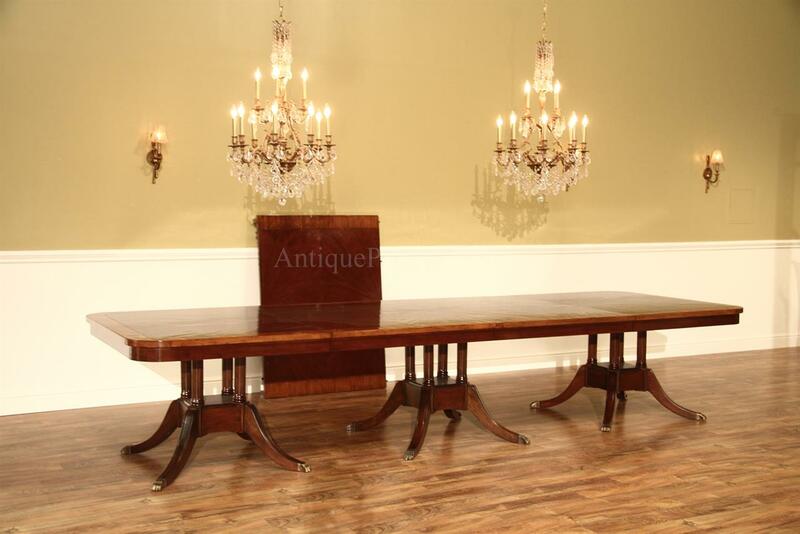 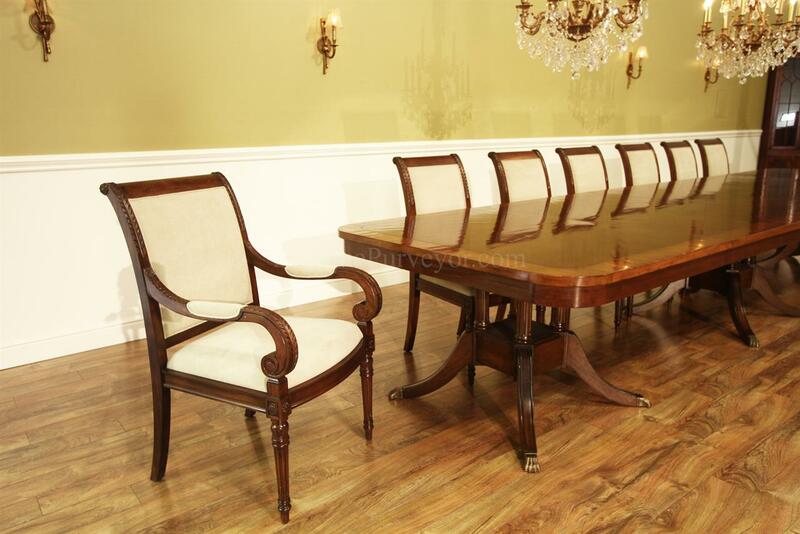 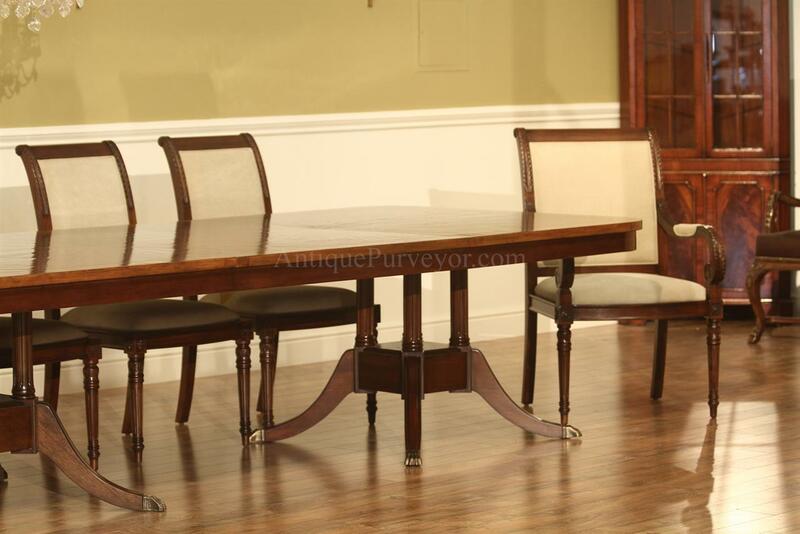 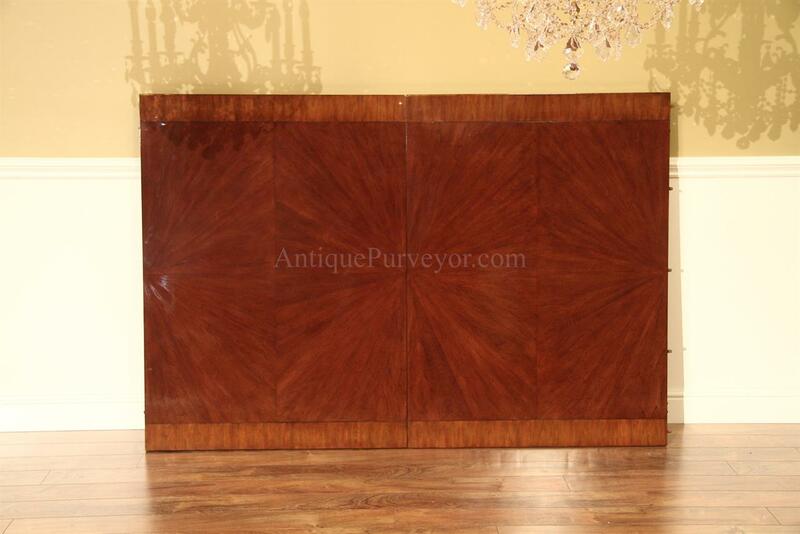 Description: American made solid walnut banquet table with crossbanded edge and apron. 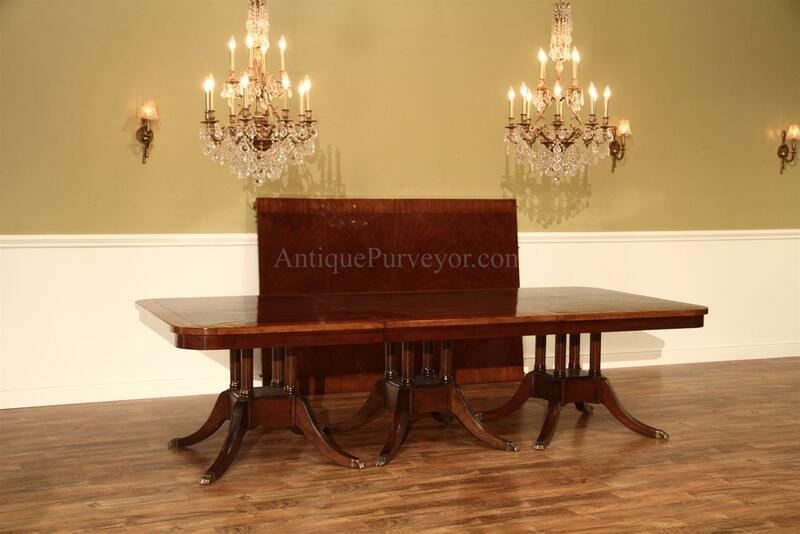 A well thought out banquet table on three birdcage pedestals. 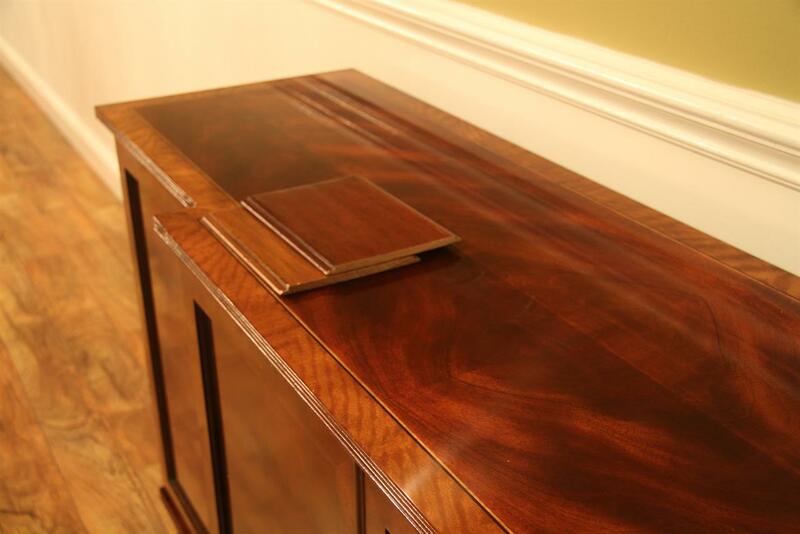 The pedestals are not American made, they are quality imported components which we feel offer exceptional value and helps keep price down. 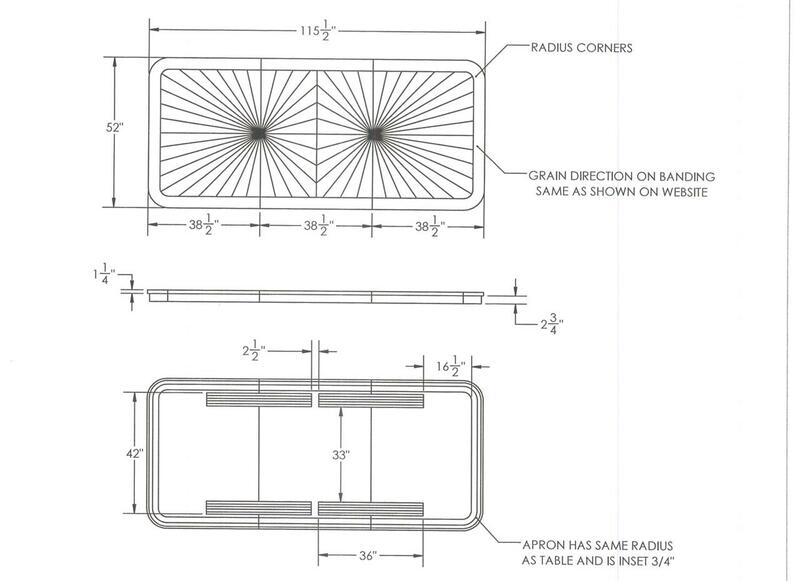 American made components are available upon request, but it will significantly add to the cost. 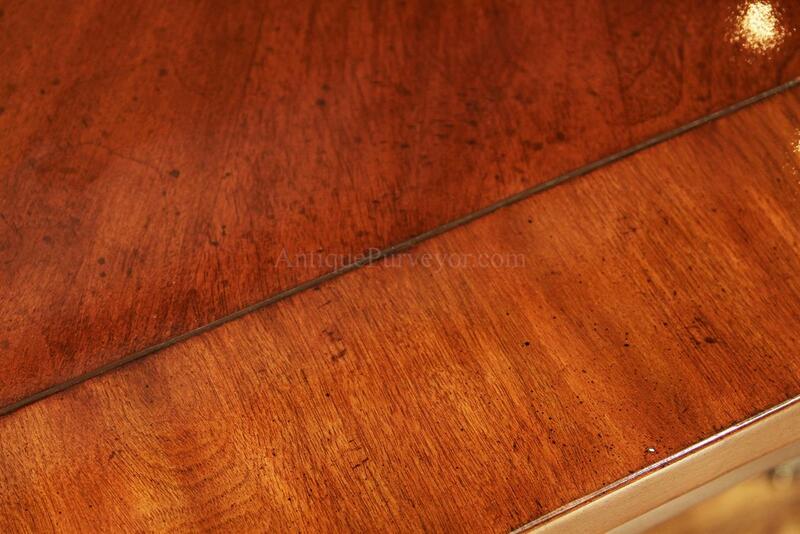 The solid wood planks are sandwiched with a stable substrate to prevent warping and cracking of the solid materials. 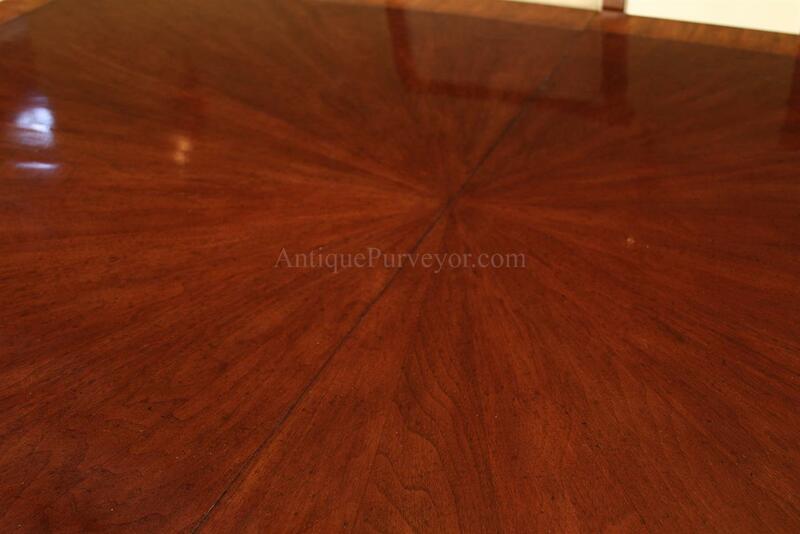 This is a solid walnut star planked table. 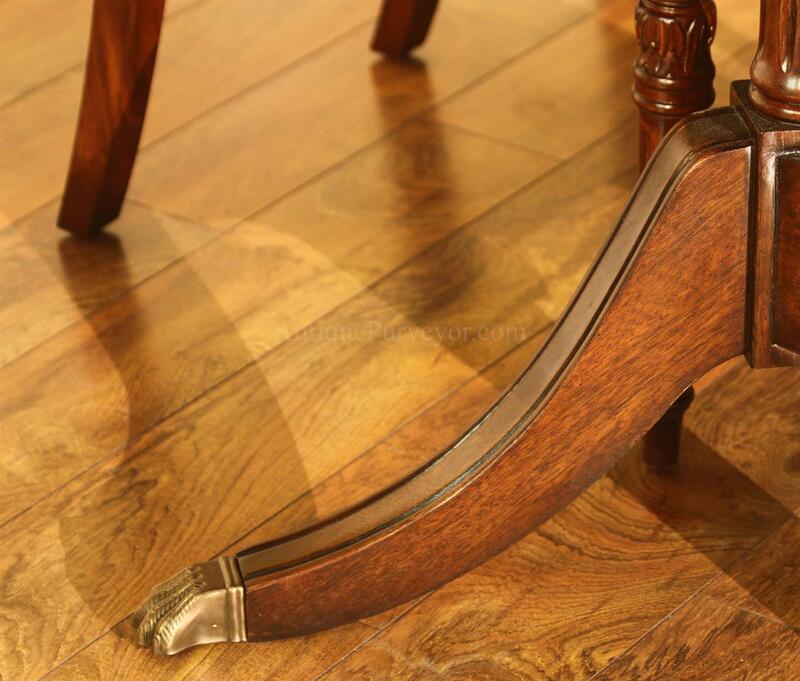 It works with two pairs of slides. 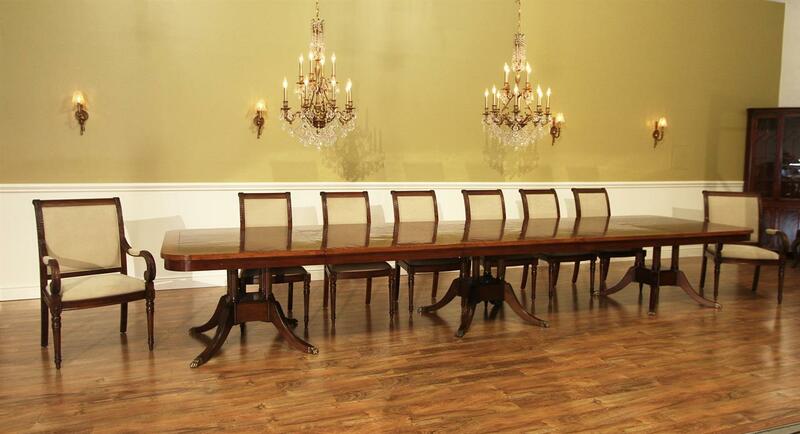 The center of the table is stationary. 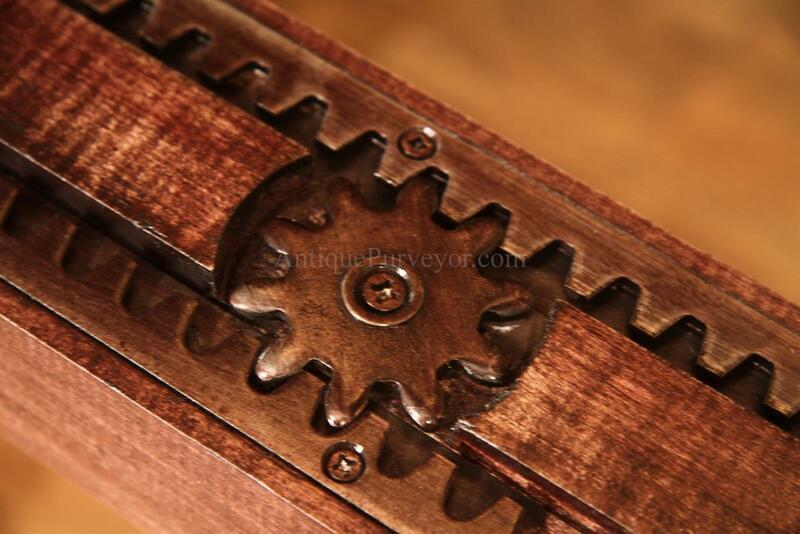 The two ends open away from the center and have rack and pinion slides for easy movement. 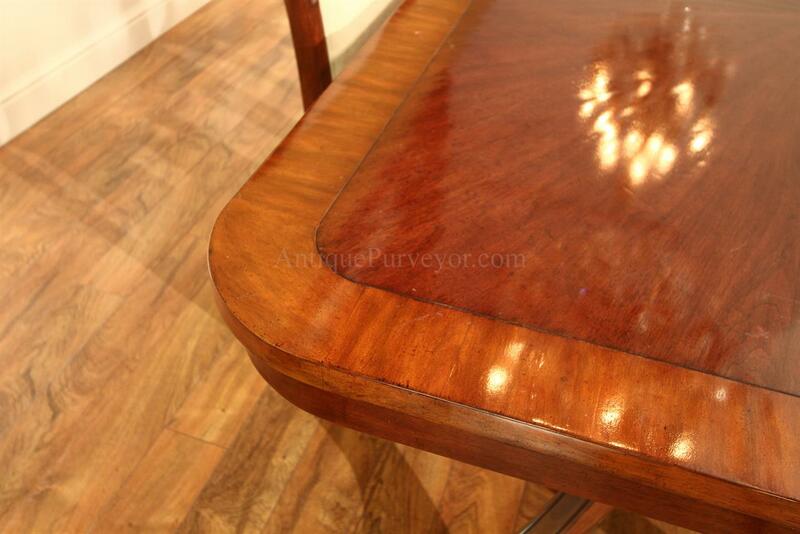 To use the table with one leaf, you will share the pedestal across the seam. 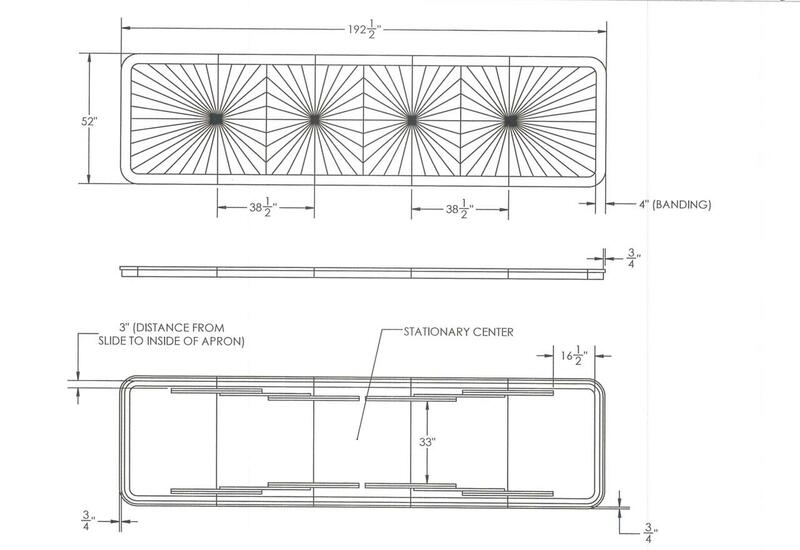 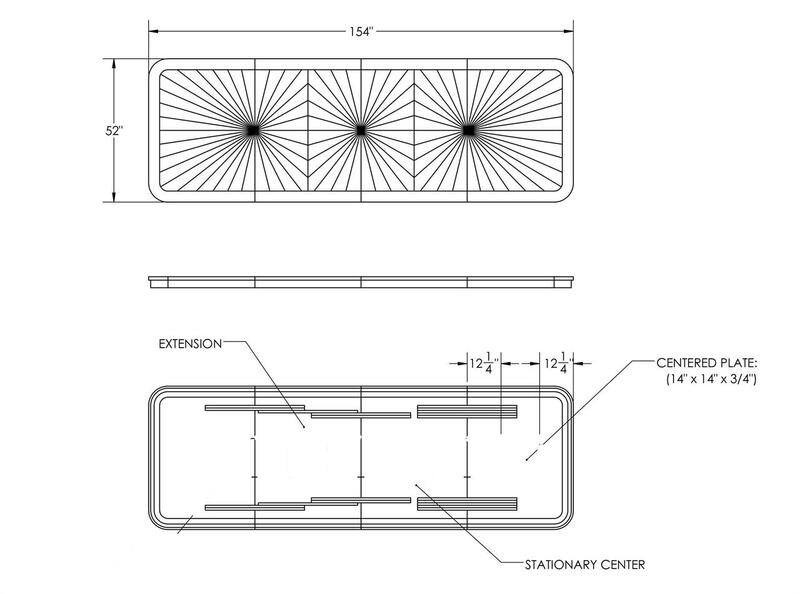 We have drawings to show how this table is being manufactured and how it would work in your space. 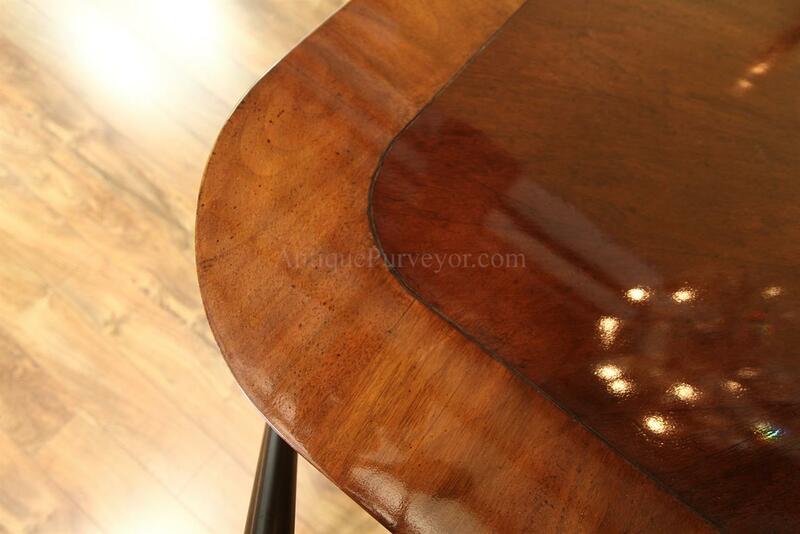 The finish will be a rich brown mahogany color with a slightly offset outside banding color. 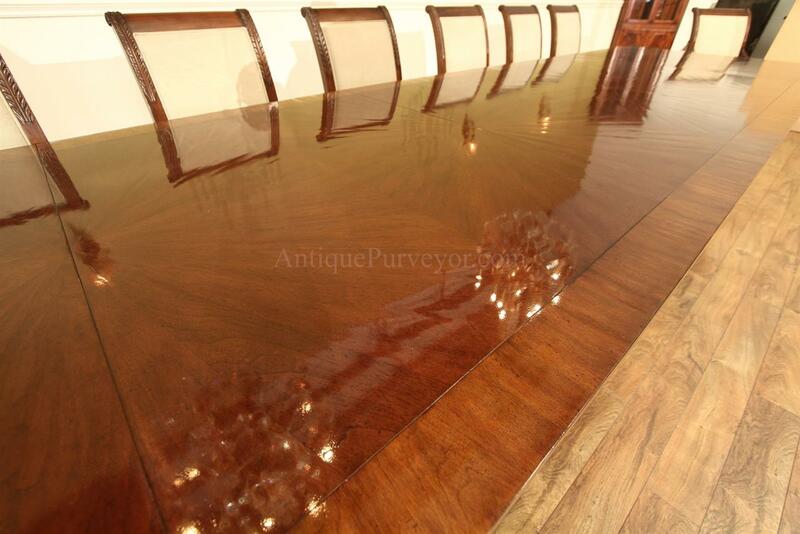 We are ordering this table with a mild distressed finish so you will not be married to table pads and you won't be overly concerned about wear and tear. 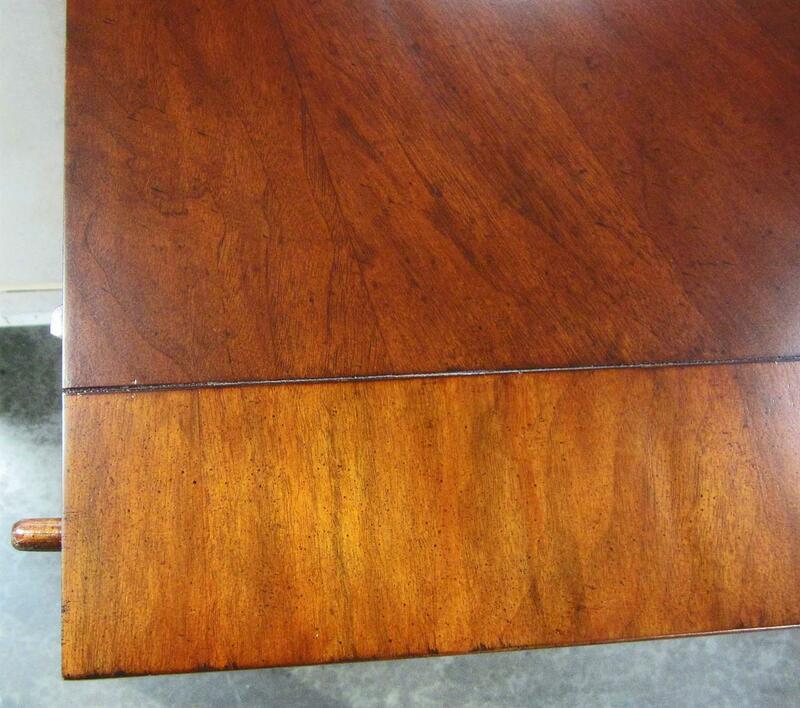 The table will have a bar top hard lacqer finish. 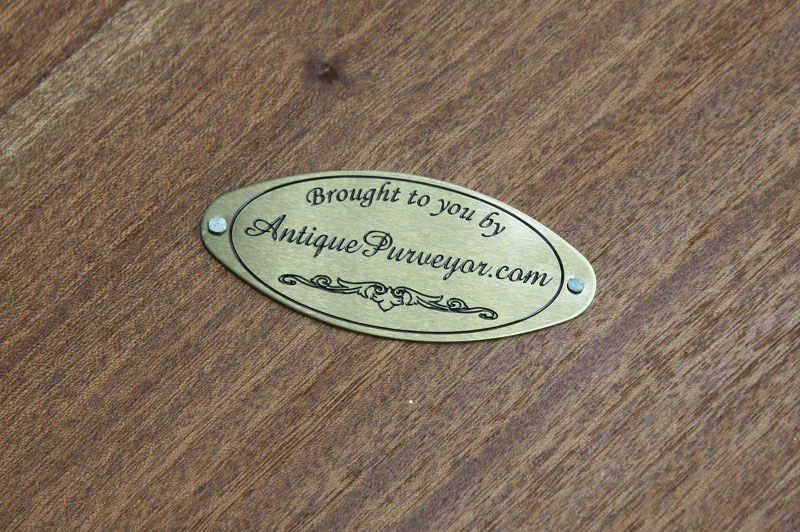 This model table will be a standard item for our store. 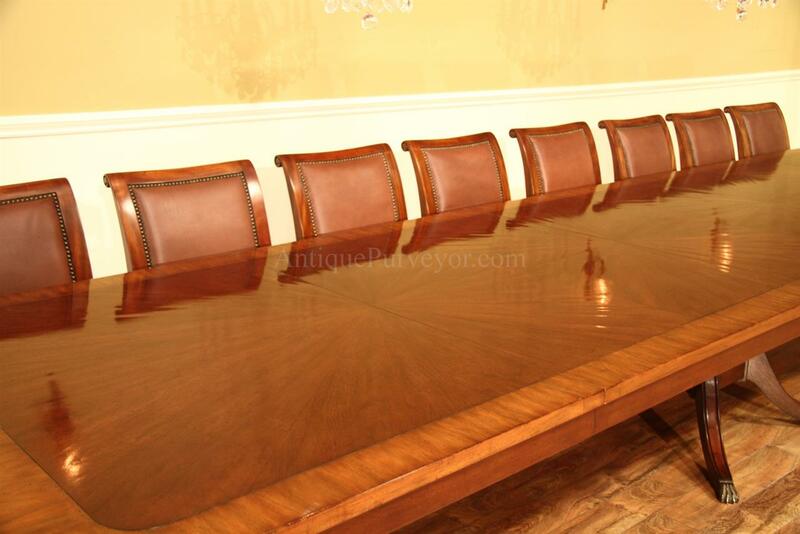 There are several features of this table which we volunatrily added to make it the best we can, but some of these features are not necessary. 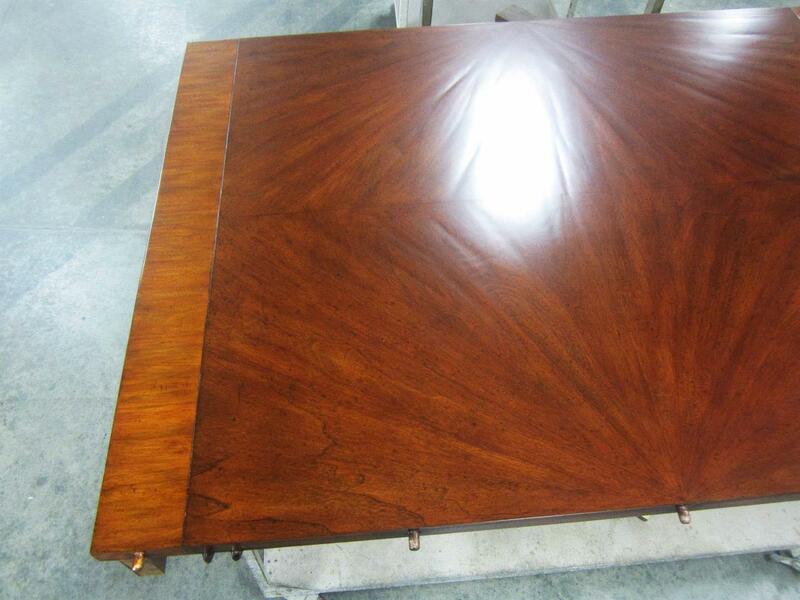 If this table does not fit your budget but you like the concept of a sold walnut table, we can eliminate the apron and the star shape planks to reduce cost. 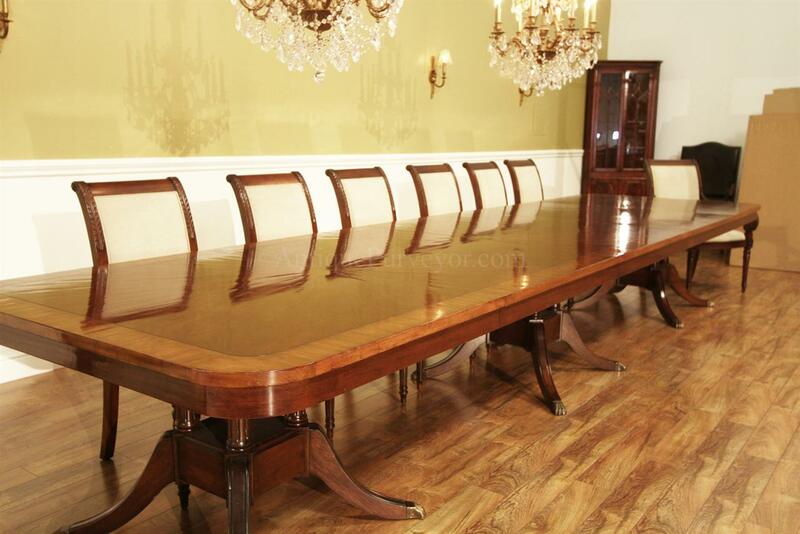 That would shave a coouple thousand dollars off the cost. 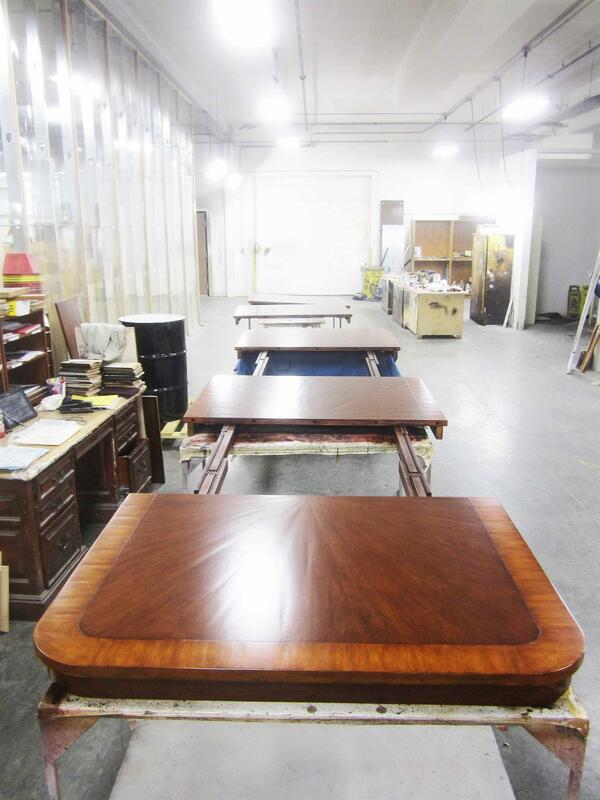 Keep on the look out for finish samples. 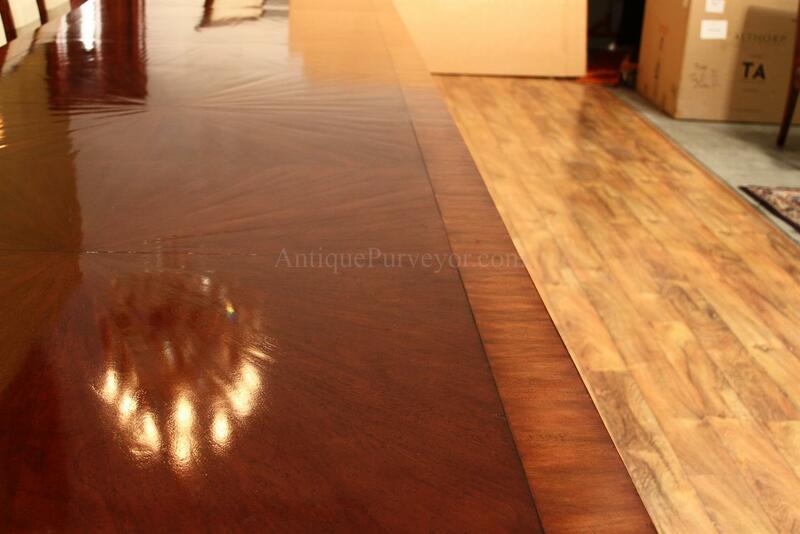 We will post pictures towards the end of August. 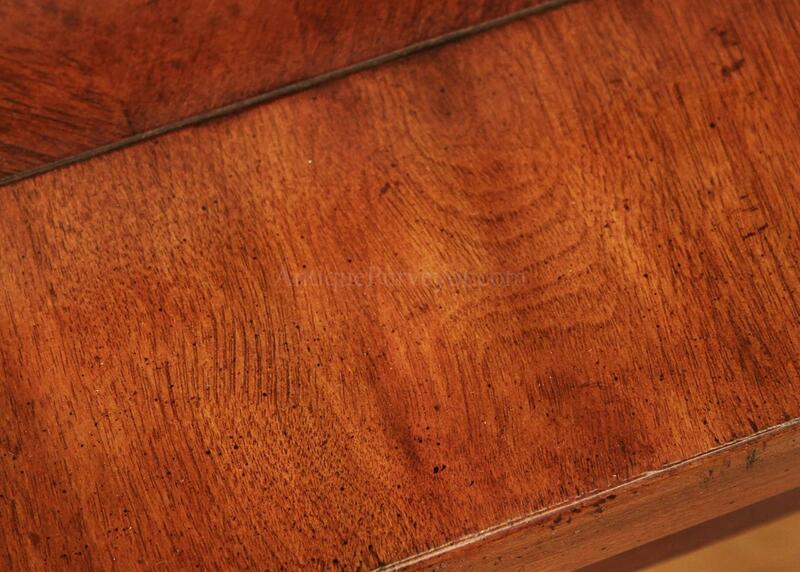 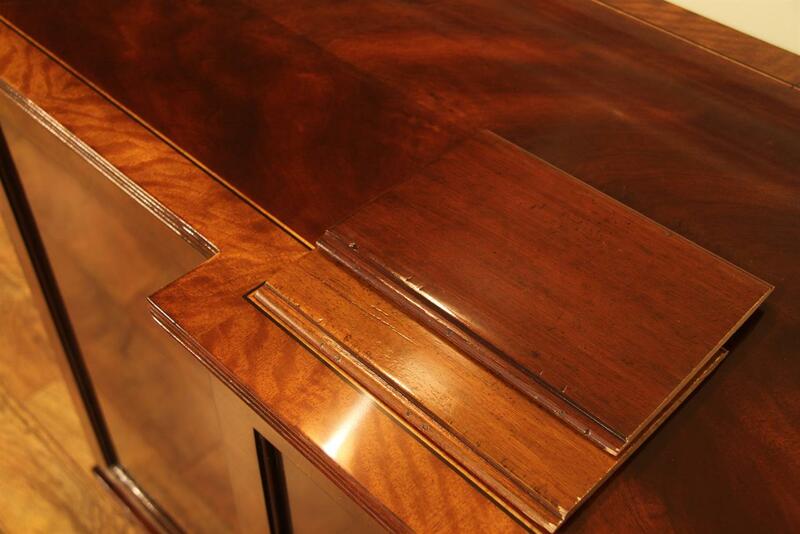 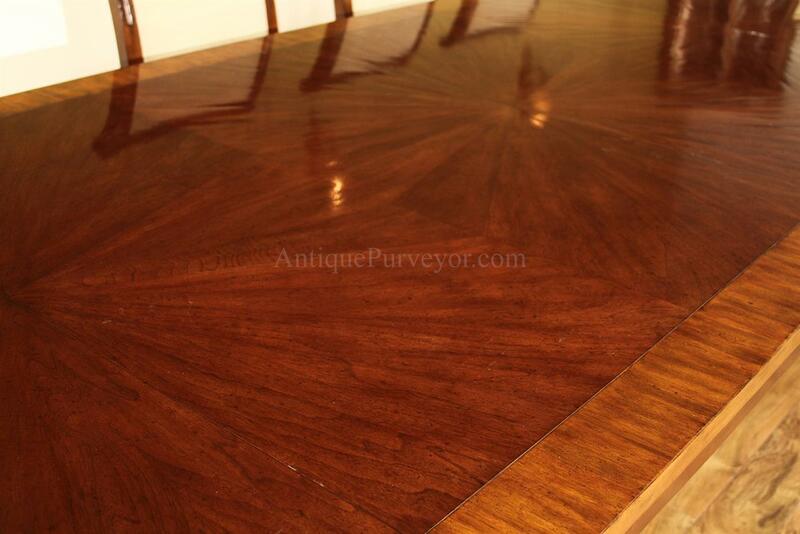 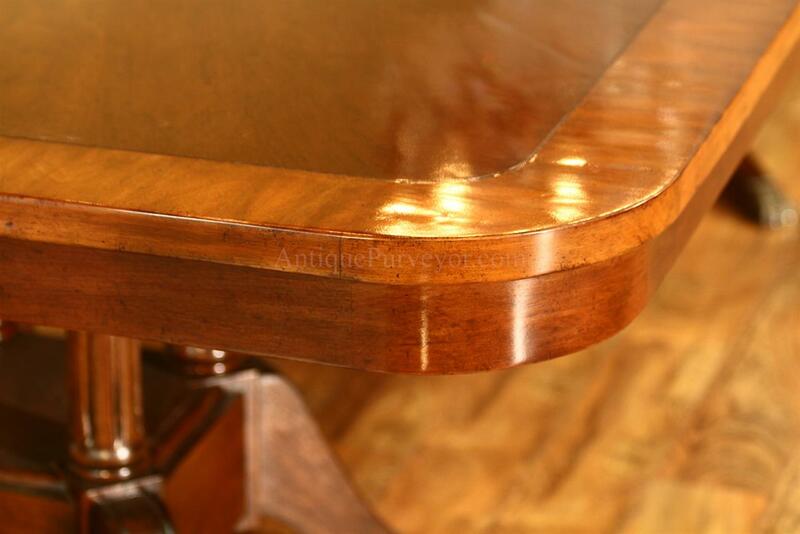 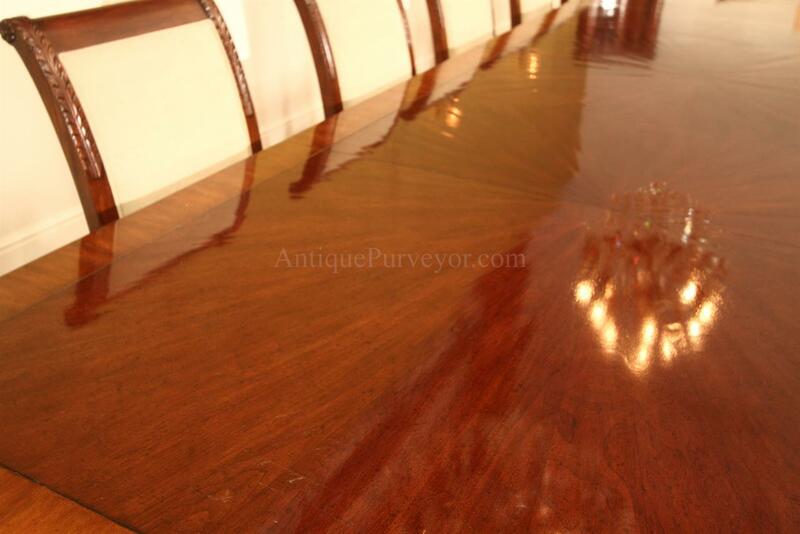 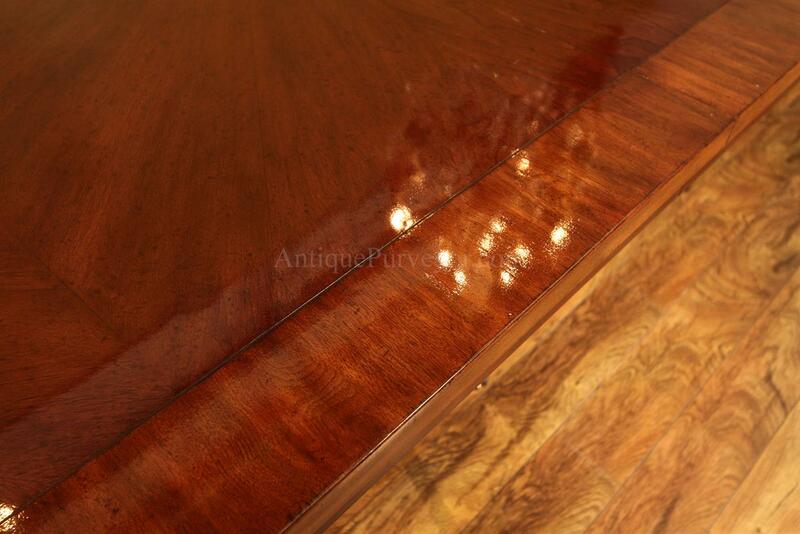 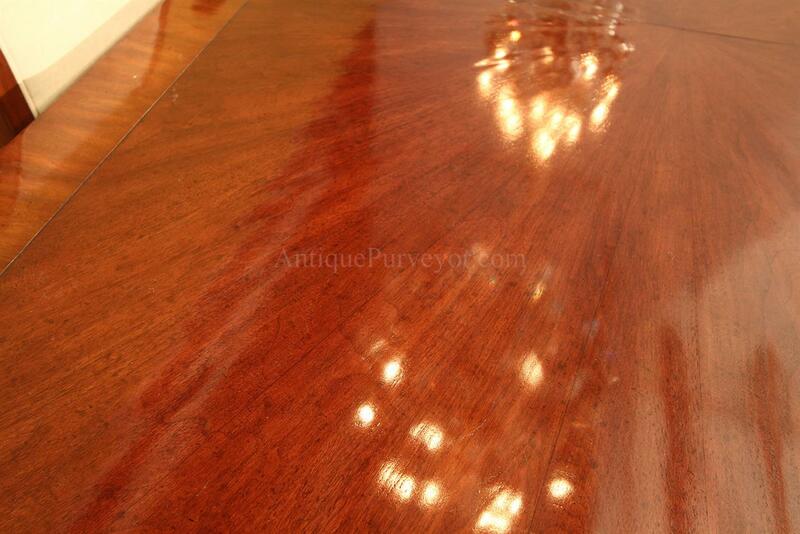 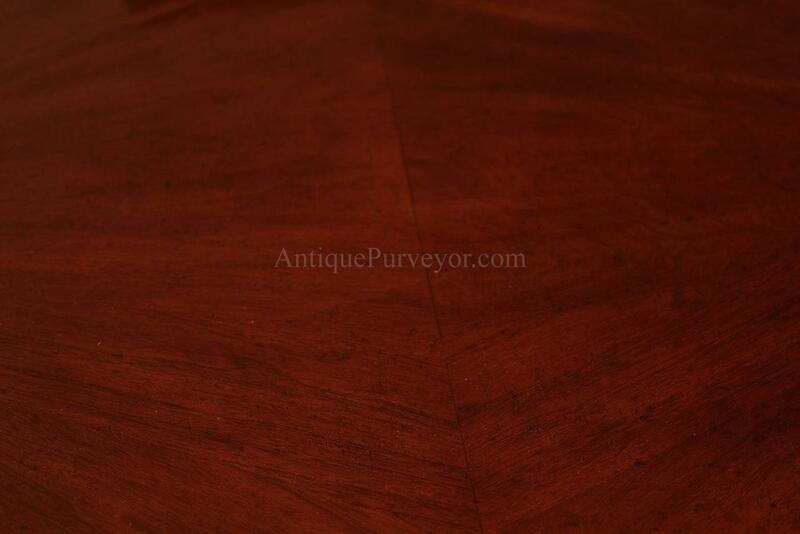 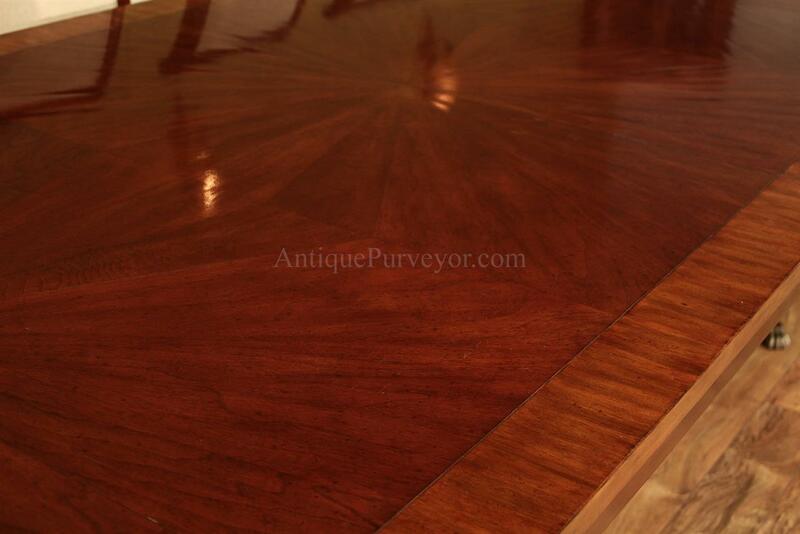 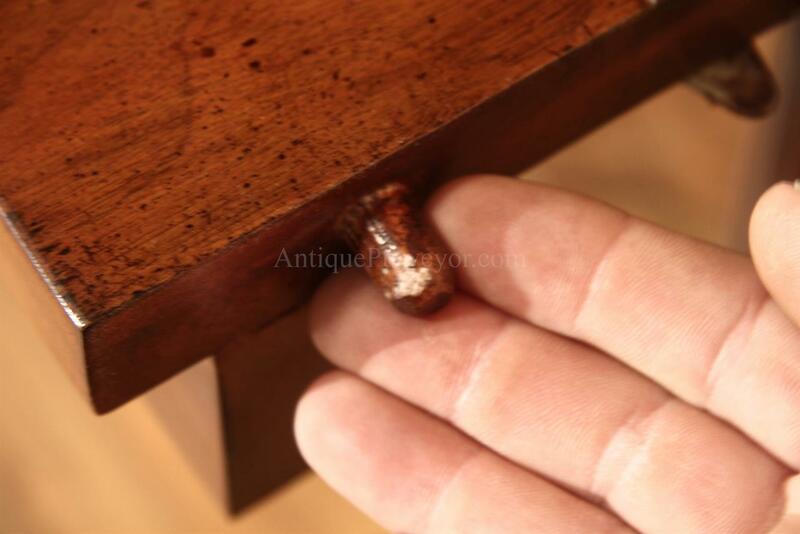 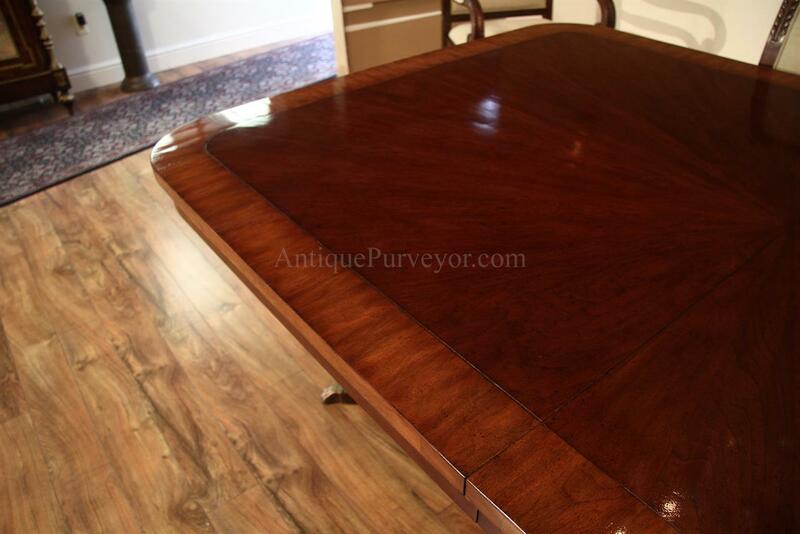 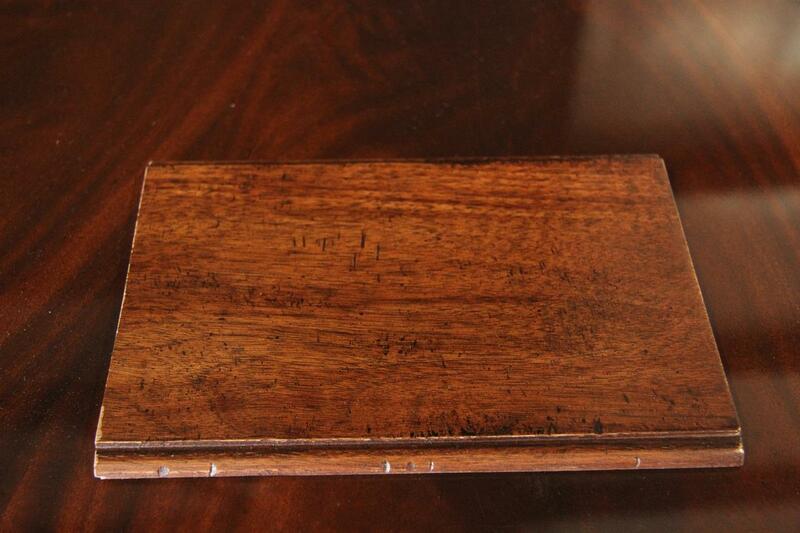 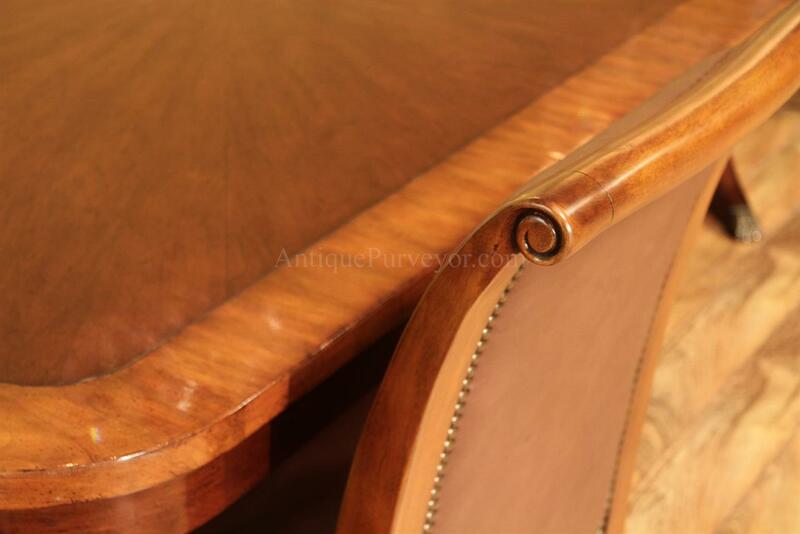 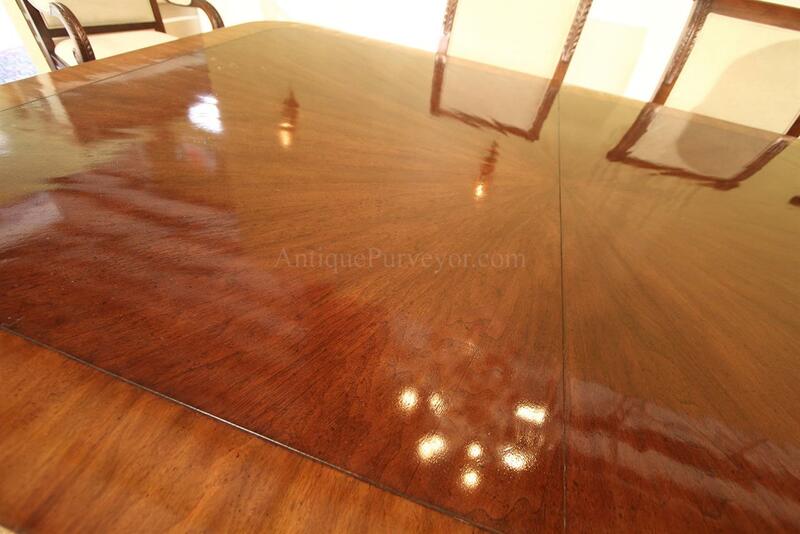 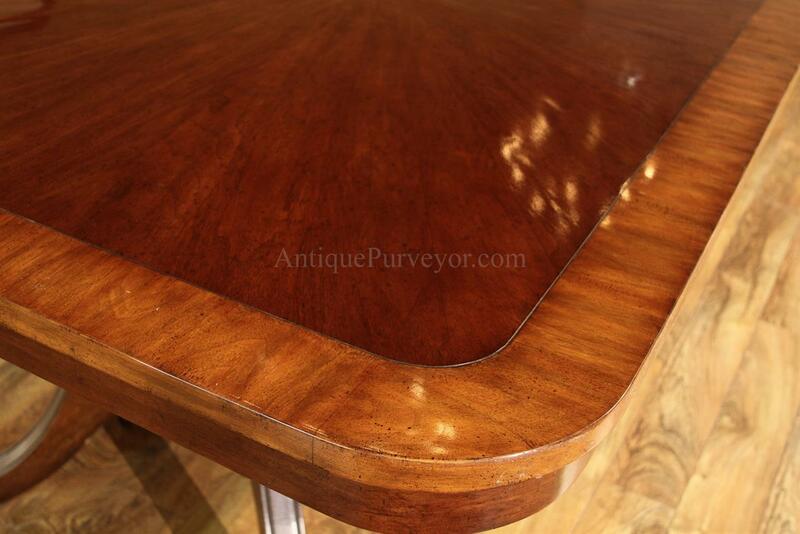 We are developing a special brown mahogany finish for this table which should be more brown than the table pictureed.